The first electric 2-door Porsche test car was a 987.2-generation Boxster E showed in 2011. 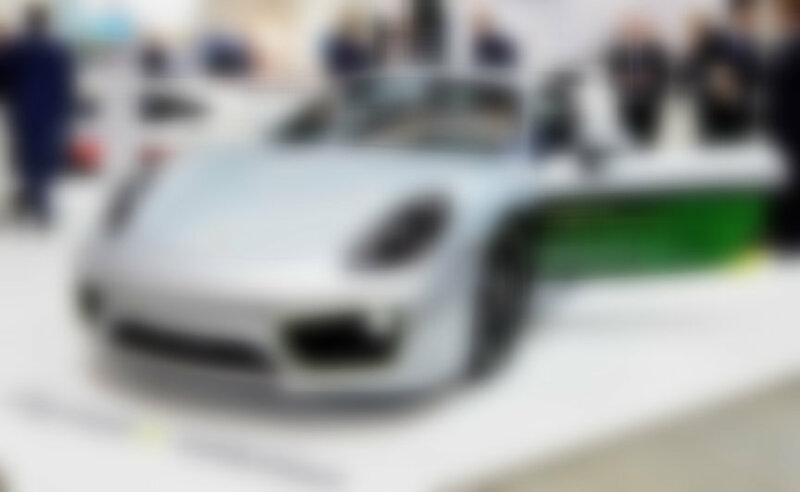 In 2016 the 981-generation Cayman test car was shown. It was created to test the 800V Porsche Turbo Charging electric system (developed by Porsche Engineering and ADS-TEC) for the future Porsche electric cars. Like every electric car, this test car accelerates phenomenally - in 3.3 seconds to 100 km/h (62 mph). So, it is by far the strongest-accelerating 981-generation Cayman Porsche built. No wonder considering it has 2 motors, 4WD and approx. 500 hp. The range is approximately 280 miles/450 km. Turbo Charging speed with 800V technology is 15 miles/24 km in 1 minute or 80% (225 miles/360 km) in 15 minutes. This car served for the creation of the Porsche Mission E/Taycan.